Thank you to everyone who stopped by the booth at the Goddard Fall Festival. 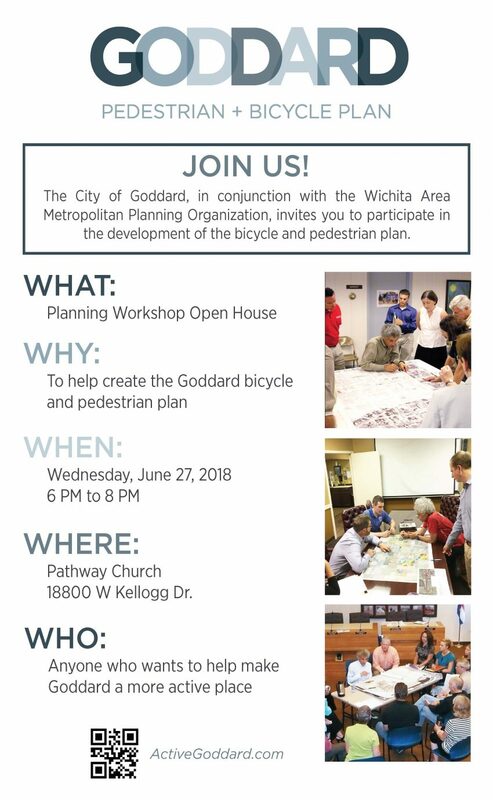 We appreciated you taking the time to learn more about the Goddard Bicycle and Pedestrian Plan, and we are excited for the input we received! Keep visiting this page for more updates as the plan moves forward! Thanks to everyone who attended the Open House on June 26th! 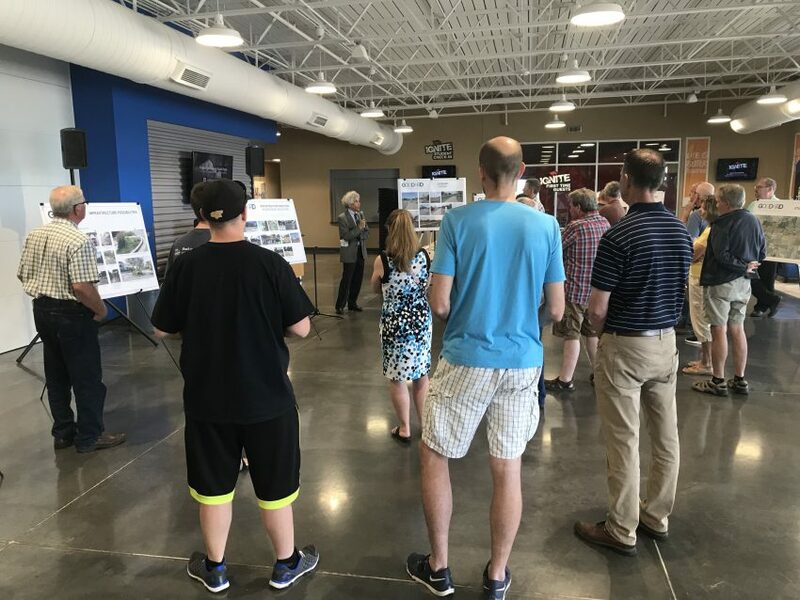 The project is moving ahead with excellent progress, meaningful input from local stakeholders, and emerging insights about how to make Goddard more bicycle and pedestrian friendly. 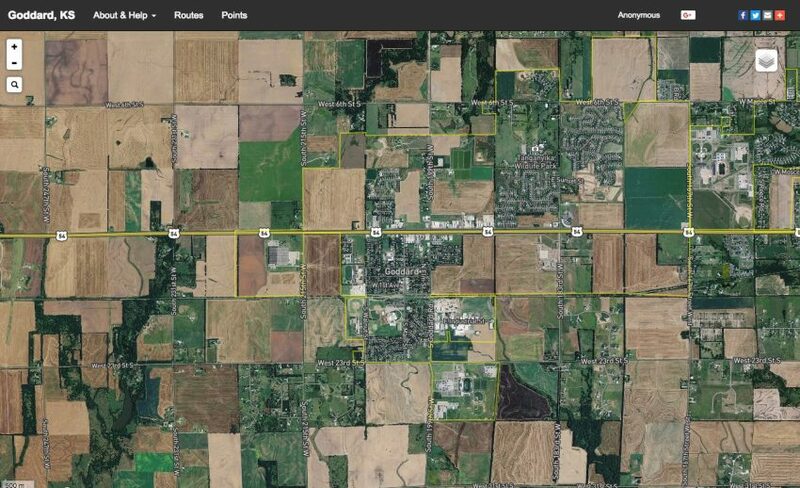 We need your input to make Goddard more comfortable to navigate on foot and by bicycle. The process begins with you! 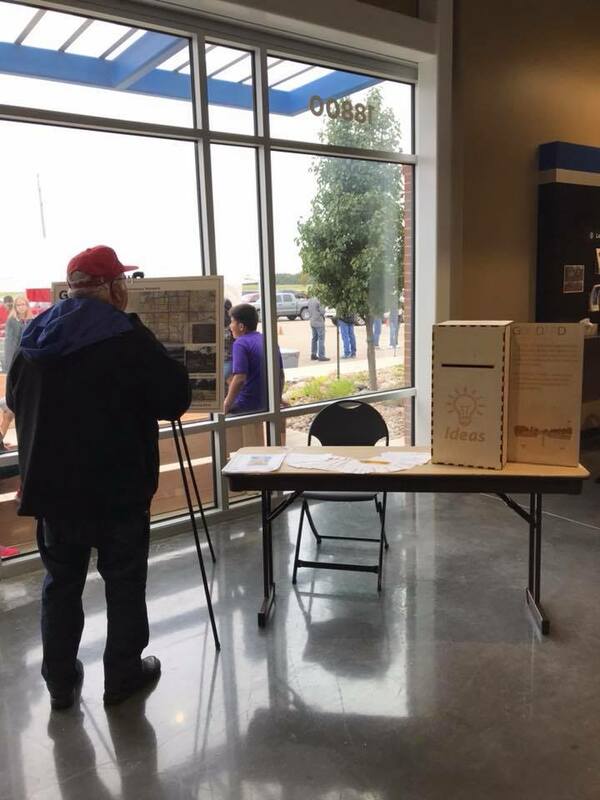 Thank you for participating in the Project Kick-off Open House on May 24 at the Pathway Church. We had a great turn-out, and your feedback is very important as we continue to move forward with this project. The project team will continue to work with the steering committee and the city to refine the concepts discussed at the meeting, including your input, and will develop a draft plan. We will make an announcement when that is available for public review. Pathway Church, 18800 West Kellogg. 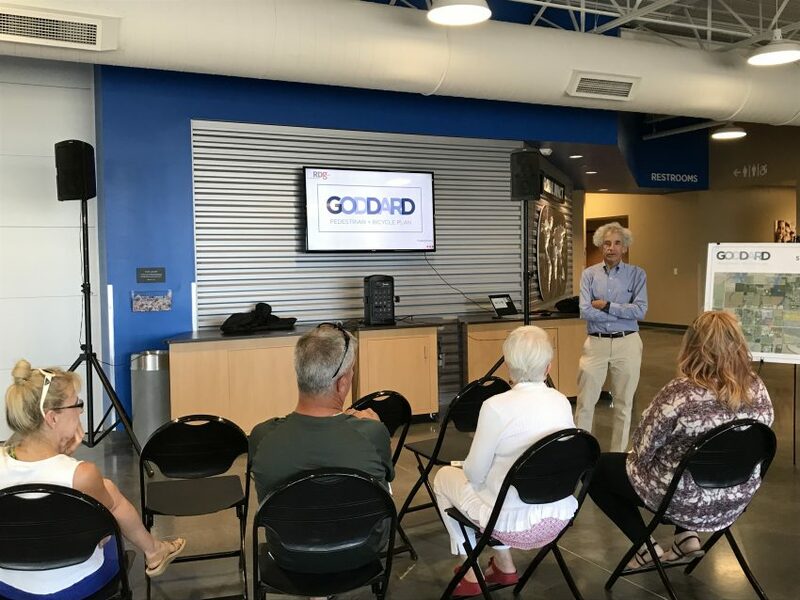 The City of Goddard and its partners have undertaken the process of developing a pedestrian and bicycle plan to guide the development of its emerging system. The plan will develop over the coming months but it all begins with you! 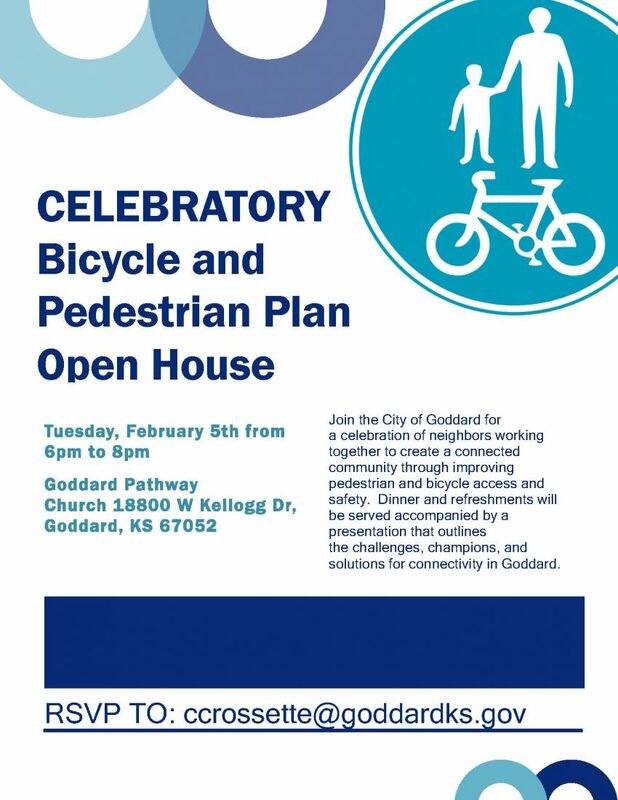 We need you to join the conversation about bicycle and pedestrian travel and access in the City of Goddard.